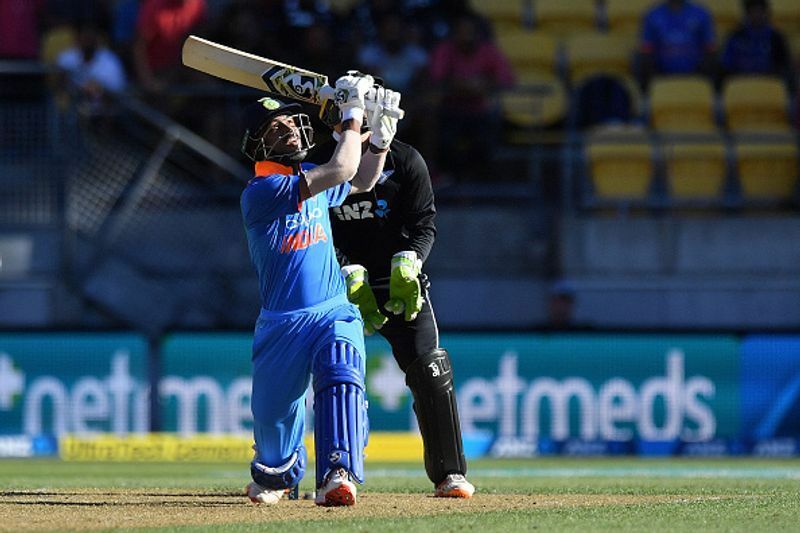 In the absence of captain and run-machine Virat Kohli, India’s batting faltered in the fourth ODI against New Zealand. However, they bounced back in the fifth ODI to seal the series 4-1. 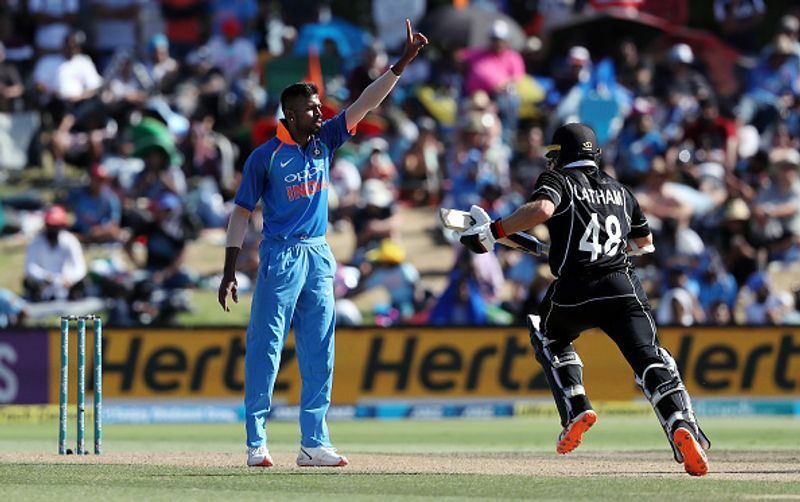 With Kohli rested after the side claimed an unassailable 3-0 lead in the five-match rubber, India's much-praised batting was dismissed for their seventh-lowest total ODI total, 92, in the fourth encounter after Kiwi spearhead Trent Boult dished out a deadly spell. Coming into the fifth game, it was important for the visitors to not only bounce back but show the cricketing world that last performance was nothing but a fluke. However, the Indian batting unit once again found themselves at sea as they were reduced for a mere 18 runs for the loss of four wickets. The situation was not only haunting but was also letting everyone ask a question - Is India dependent on Virat Kohli to score runs? The answer to this pivotal question arguably turned out to be 'no' as Ambati Rayudu along with Kedar Jadhav, Vijay Shankar, and most of all Hardik Pandya helped India to reach a defendable total. Pandya smashed 45 off 22 at an astonishing strike rate of 204.55. The innings was laced with two boundaries and five mighty sixes. And it wouldn't be wrong to say that his quick-fire innings was the difference between two evenly matched sides. 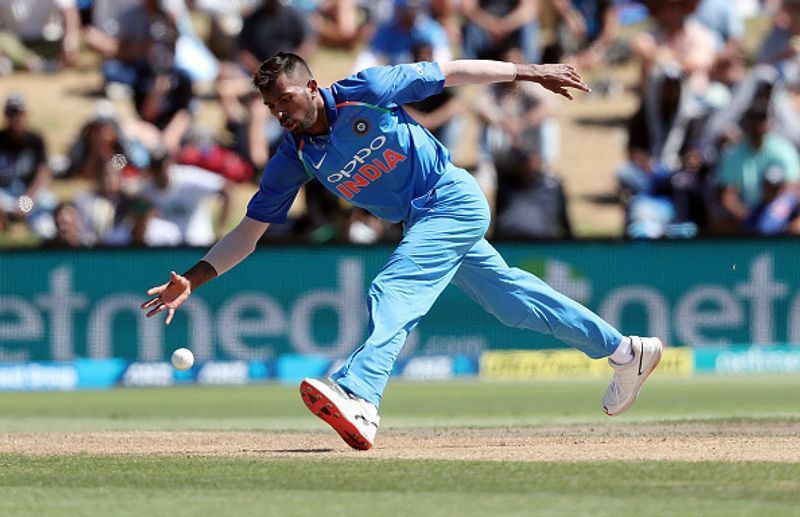 Later in the innings, Pandya wreaked havoc with the ball utilising the conditions beautifully to scalp the in-form Ross Taylor and Mitchell Santner. He was also patrolling the field, saving at least four to six runs for his side. 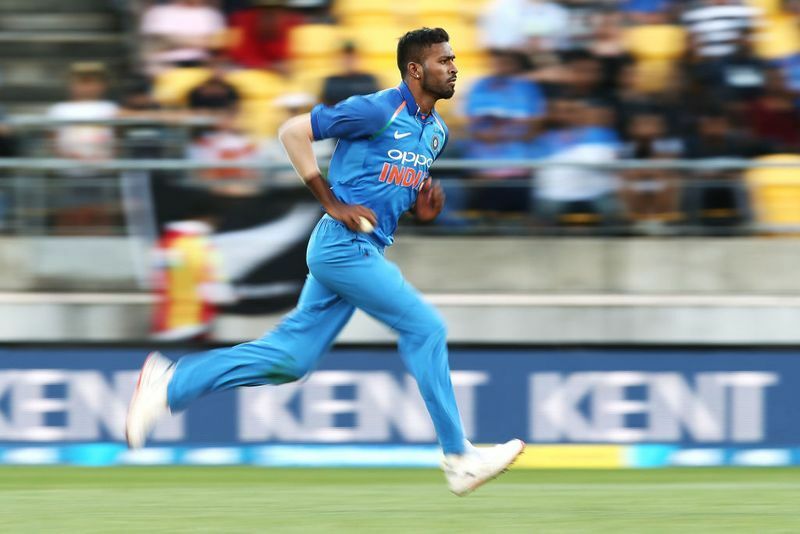 With this, MyNation brings to you the five reasons why Pandya is crucial for India. Having already tried Stuart Binny for 2015 World Cup, the team management and skipper weren't too satisfied with his abilities on the field. Post this, the hunt for an all-rounder began and came to a standstill with picking Pandya, a proper fast bowling all-rounder. It wouldn't be wrong to say that the 25-year-old hasn't disappointed the selectors. In his initial days, Pandya wasn't able to find his rhythm and went for a few runs. However, he has learned from his mistakes and came back strongly. He not only has the ability to deposit the ball into the stands but is also a quick runner between the wickets. His aggression with the bat is ideally suited for that role where he can score some quick runs and help India finish the innings on high. The recently concluded ODI series against Kiwis is a perfect example of this. Though Pandya was in the news for all the wrong reasons from last week and a half, but that doesn't define what he brings to the Indian team. The flamboyant cricketer has been able to portray his swashbuckling ability to strike the ball, superlative fielding, and some smart-street bowling. He made the world sit up when he soaked in the pressure and came good in crunch situations, playing a pivotal role on many occasions. His overall attitude towards the game makes him an all-important member of the Indian team. Fightbacks have been the feature of Pandya's cricketing journey which is known to almost every cricket fan around the world. The comeback against New Zealand was yet another example of how strong he is. Having called up after the second ODI, Pandya didn't disappoint the selectors at all. 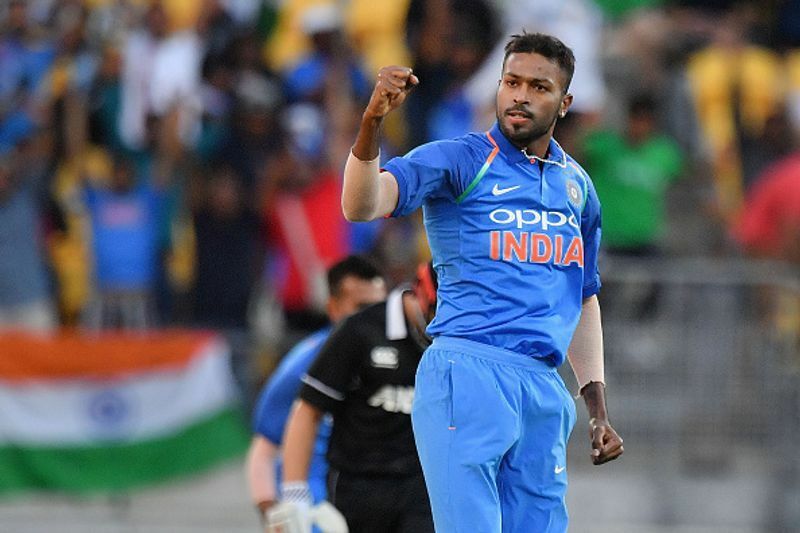 Starting the series with a sensational catch to picking four wickets in three innings at an economy of just 5.24 per over to finishing with a dazzling quick-fire 45, Pandya has shown why he is a crucial member of this team. 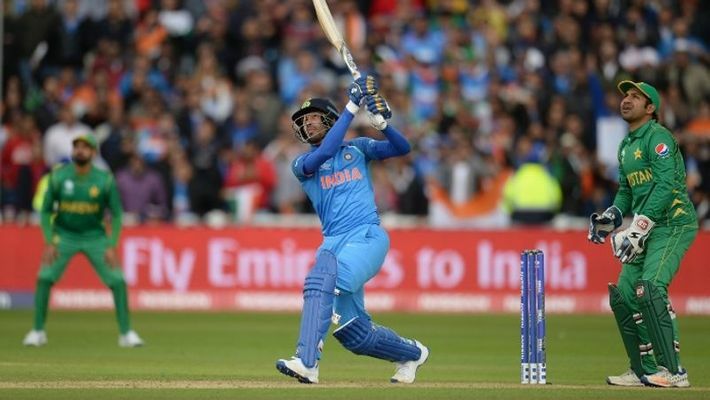 Pandya was playing his first International match after September 2018 and trying to make an impression in the field straight away and one will have to say that he performed admirably. He was not only been able to perform with bat and ball but was swift in the field as well. He not only took some spectacular catches but also saved some crucial runs for his side which eventually helped India. Sometimes, the performances like the one produced by Pandya go unnoticed, but does that mean they didn't play a role? - No.